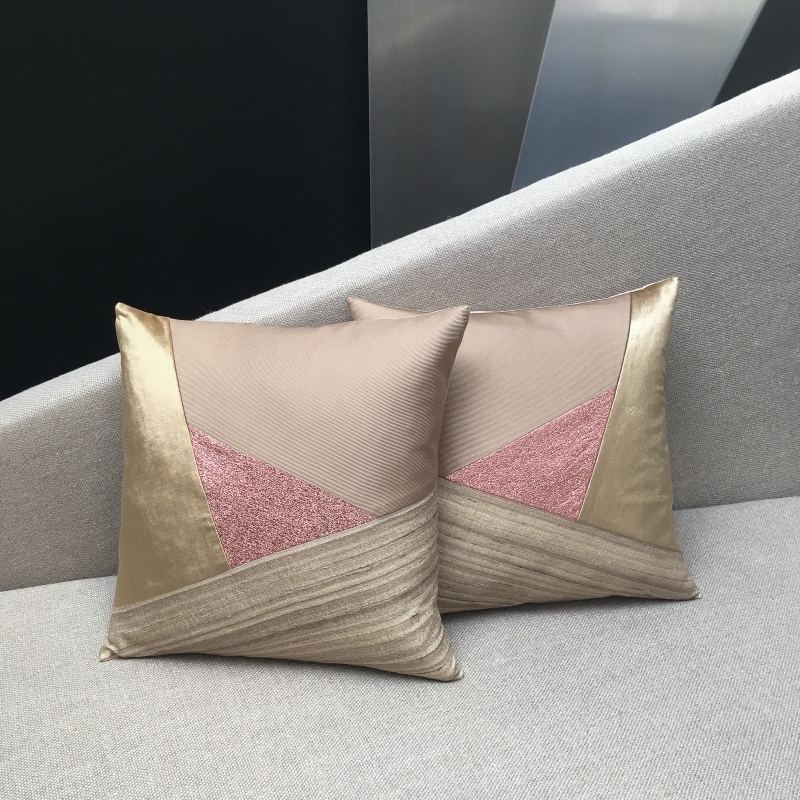 Very subtle with its precious shades of silk, this Art Deco style cushion embodies the discreet charm and refinement of the distinctively bourgeois era in France. It will find a place on a design armchair or a period sofa. 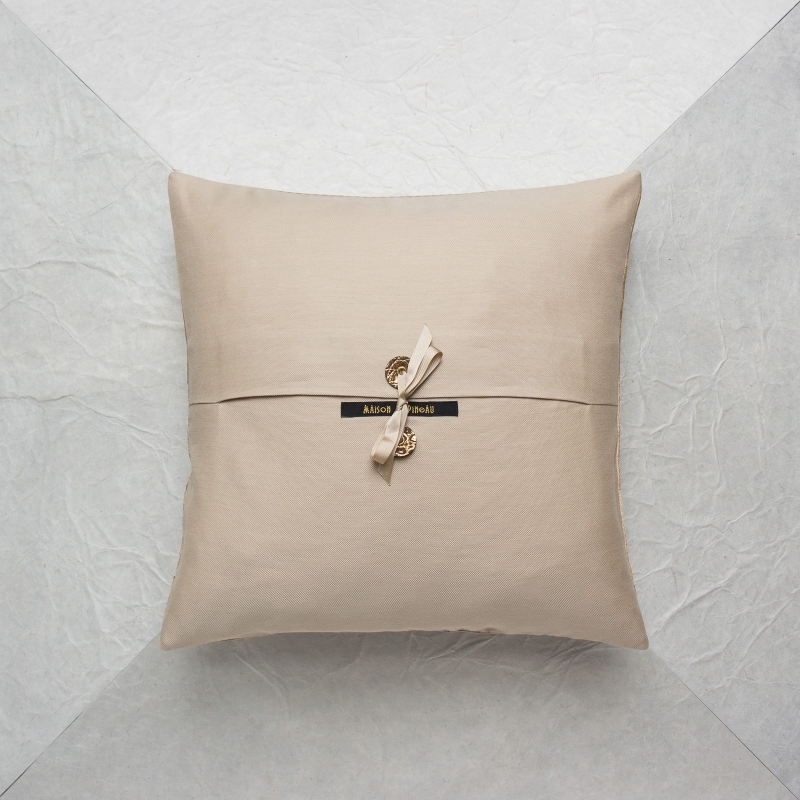 The fabrics were selected for their delicate aspect: raw sand-colored silk with a wood-like effect, honey-shaded cotton and viscose velvet and twill blended with caramel beige colored silk. 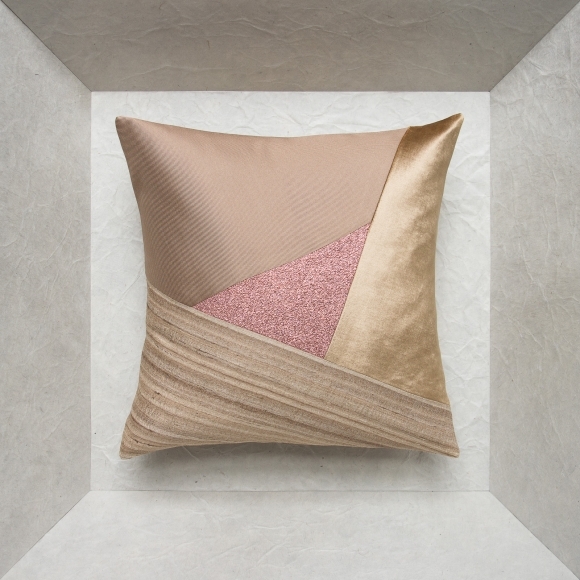 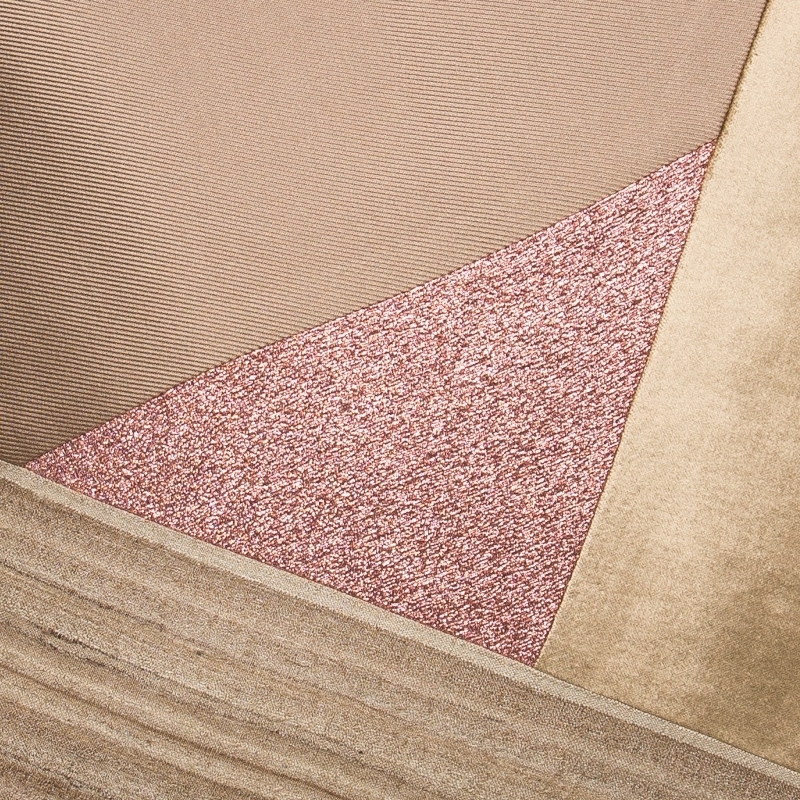 In the center, a pink lurex and polyester lamé. 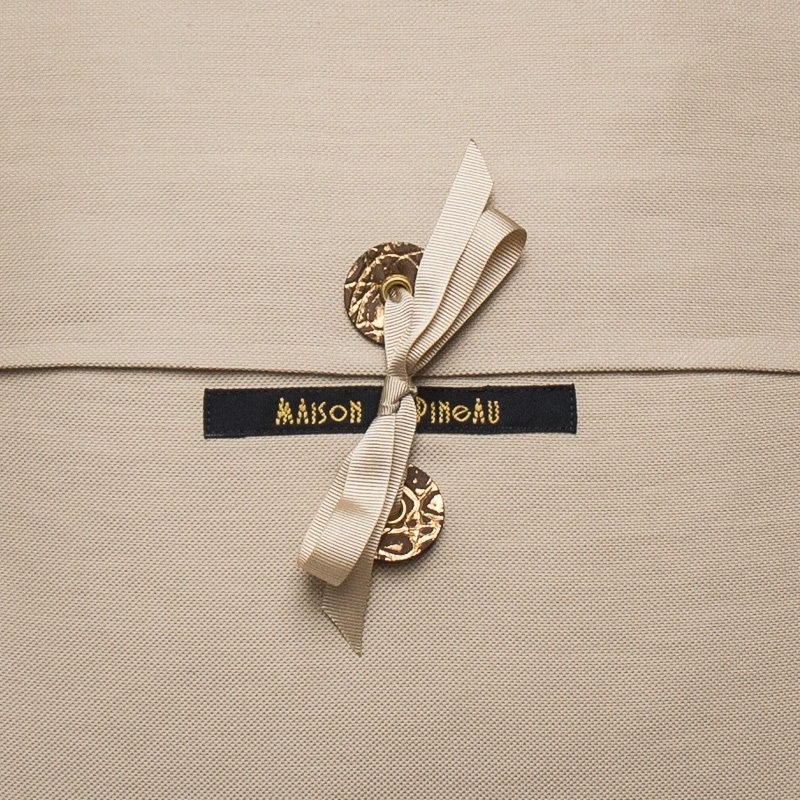 On the back, sand-colored wool and the Maison Popineau signature: two golden crocodile patterned leather tabs and a beige grosgrain ribbon.